One of the most notable features of Windows 10 is its support for universal apps that run on both desktop and mobile hardware. Naturally, this includes Microsoft’s Maps app for Windows 10, and today we’re getting out first glimpse at what it will like on mobile. As you’d expect, the app includes street and satellite views, local search data and voice-guided navigation. 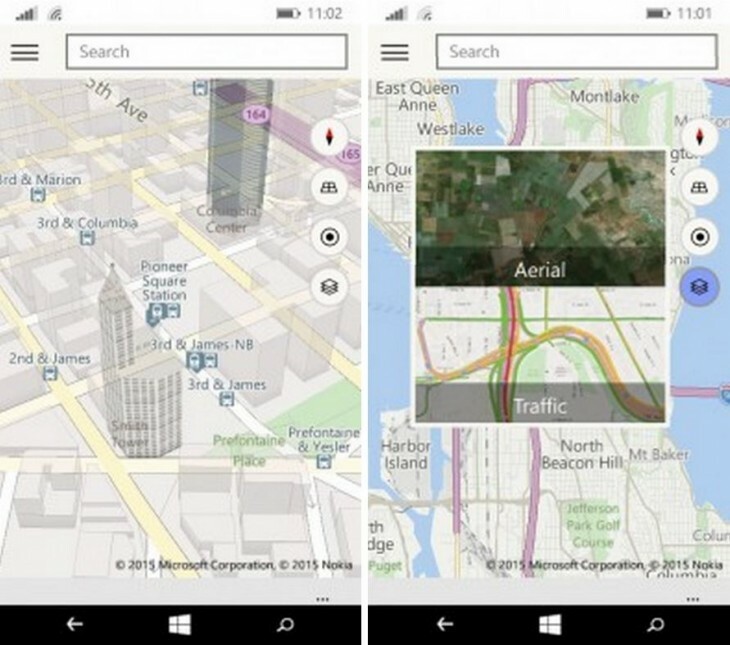 It also meshes together aspects aspects of both Bing Maps and Nokia’s HERE maps. You can search for businesses and access details including location and contact information, images and reviews from Yelp. You can also make restaurant reservations in-app. If you go on a trip the app will also suggestnearby places to eat and shop, as well as local attractions and activities. The navigation interface, meanwhile, sources features from HERE maps, such as speed limit warnings and day and night modes. Another useful feature: you can store maps of specific regions so you can navigate comfortably without a phone signal or using up your data. Microsoft also hasn’t forgotten about those trialing Windows 10 on the desktop. Maps has already been available for them, but an update today brings 3D city renders, as well as Bing’s Streetside feature, which is essentially Microsoft’s version of Street View.